Asthma is an extremely serious and widespread disease experienced by up to 300 million people each year, causing 250,000 deaths globally. Because there are so many low grade forms of asthmas people can at times underestimate the seriousness of this disease. If you’ve been living with wheezing, coughing, chest tightness, or shortness of breath, you need to visit a doctor or asthma specialist. Staying ahead of your symptoms is important, and managing your asthma can greatly improve your quality of life. Asthma often causes anxiety, stress, low energy, and a general fear of overexertion. This can keep you from living the active and engaged life you want to lead and add stress to your everyday routine. Staying on top of your asthma can help prevent flare-ups and general symptoms, which can greatly increase the quality of life you experience. Here are some active steps you should be taking to battle the hold asthma has on your life. Determining your asthma triggers is an extremely important first step in managing your asthma. By understanding what causes your asthma to rear its ugly head, you can help take steps to prevent not only flare-ups but manage your everyday symptoms as well. To best determine which of these might be triggering your asthma, try keeping an asthma log. Every time you experience a flare-up make a note of when it happened and what you were recently exposed to. Eventually you should be able to determine the source of the problem. A wise common practice for anyone experiencing serious symptoms or everyday flare-ups is to keep your living space as clean as possible. One of the most common causes of asthma is the combination of dust, pests, mold and animals (mostly their dander). By keeping your living space clean and free of these you may experience a precipitous drop in symptoms. Any change in your asthma—either symptoms or regularity—should be followed by a medical visit. Understanding and treating your asthma appropriately is extremely vital to maintaining good health. Because asthma can evolve and change over time you should always be proactive in treatment, making sure to stay one step ahead of your asthma. So, if you’re experiencing new or more severe symptoms, it should be time to visit your doctor/specialist. Having an action plan ready to battle any flare-ups or a day of extremely acute symptoms is an integral part of managing your asthma. You should always have a home plan ready to deal with both daily and emergency asthma symptoms. Inhalers are portable and widely used for the treatment of both mild and severe asthma. They deliver fast acting medicine that helps end any bout of flare-up of asthma. You can find various choices of asthma inhalers on the market. 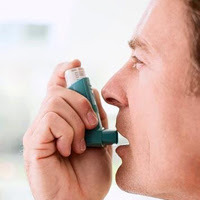 A heavier duty, quick acting solution to serious asthma, nebulizers are safe for home use and can be used to deliver a variety of medicines and natural remedies. These tend to be used by people experiencing worsened asthma symptoms or those with daily symptoms. Nebulizers are a great tool in managing and fighting asthma. For very mild cases of asthma natural remedies are an easy and comfortable solution. Liquids such as coffee, tea, honey, and lemon juice can help smooth over mild wheezing or coughing. Although they don’t counteract the problem such as medicine would, they can help slowly ease away discomfort. It’s important to be prepared in case of emergency. Breathing techniques, while not always effective, can sometimes halt or slow down the rise of an asthma symptom. Practicing good breathing techniques can help give the medicine time to work, or even just help increase everyday comfort. Managing your asthma should be a part of your everyday routine. It is vital to stay ahead and keep asthma from having as low an impact on your everyday life as possible. By managing your asthma you can live a happier, more productive life. So, make sure you know your asthma triggers, have an action plan for both emergencies and everyday symptoms, and schedule regular medical visits. Ken Stanfield is a writer, blogger and health enthusiast who specializes in respiratory health and geriatric healthcare needs. He currently writes for the nebulizer systems supplier justnebulizers.com.